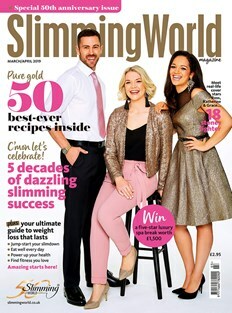 A Slimming World spokesperson says: “Our Nutrition team routinely reviews our healthy eating plan in line with latest international guidance, and we’ve made a number of updates to Food Optimising for 2019. We’re excited about these changes and hope members will be too. As well as making our plan even more flexible and sustainable, they also ensure that we’re giving the most up-to-date health advice. - And, to further boost their weight loss, members following the Extra Easy SP plan will be advised to enjoy a maximum of 10 Syns per day. "This latest update, which follows changes announced in September, will be included in all Slimming World’s new member information from Christmas. Slimming World group members who’d like to learn more about the changes should speak to their Consultant and online members will be able to find an update at Slimming World Online."